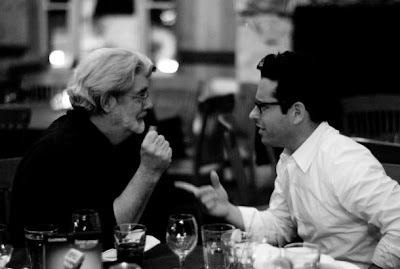 This week's caption comes from the meeting of George Lucas and J.J. Abrams. This week we're going to do something different (I hope it works). Let's create a conversation between these two. Put in a caption for ONE of the two, then the next person should try to respond using the REPLY button to the LAST comment with what they think the other is saying. If it seems like a dead end, then start a new conversation. Lucas: Why do you have so many drinks? Abrams: Sorry, I thought you were picking up the tab. Head down to the comments section below to add a comment. The owner of the funniest and most original caption will be given praise and adulation, here and on our Facebook page. The contest concludes next Wednesday at midnight, so please have your ideas in before then. The captions two weeks ago for Superman Vs. Nuclear Man were a riot, but the one you voted for was by Mark Means: "No, I'm called the Man of Steel....not Manicure of Steel...."
Do you have an idea for a poll, or have you seen a picture that needs a funny caption? Send it to us using our Contact Form or email us at geektwins (at) gmail.com. What do you think they're saying? Lucas: Sorry, I left my 4 billion dollars from Disney in my other pair of jeans. Abrams: Huh? What? You got some nerve. Lucas: I've got nerve? What about all that pretending Basil Cumberbatch wasn't playing Khan? Abrams: How about pretending JAR JAR was funny! You should have had Vader kill him off. ABRAMS: So, in the climactic scene, Luke is on the island protecting Leia from a smoke monster that looks like Aunt Beru. What do you think? LUCAS: Well, Aunt Beru as a smoke monster is no more ridiculous than Hayden as Anakin and Jango Fett as the model for all clones. You should have read the rules of the exercise first. I did - it said to fill in the caption for either of them. Only if you were the first person to respond. After that you're supposed to keep going down the chain. Abrams: Four billion?? Pfffffft...compared to what I'll be getting, you might as well be running around in your shorts! "If it seems like a dead end, then start a new conversation." I started a new one. Melissa ran with it. Great stuff guys! This getting confusing though. I should have said to REPLY to the comment above. This one is for all the true followers of Abrams out there. 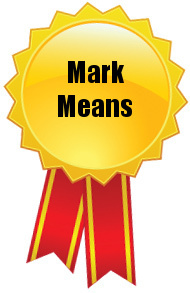 If you understand the reference, you'll know I'm talking to you. Abrams: So I thought we'd open with Han and Leia in the Falcon about to leave on their honeymoon. Han turns to Leia and says he has something important to tell her, but, then, just before he's going to say that he's been a spy all along, another spaceship comes blasting out of hyperspace and hits them, putting Han in a coma. It's gold, right?